*NEW* Very High throughput, Enterprise Grade Point to Point wireless backhaul antenna using spectral efficient technology to avoid interference. This GNS Wireless Bridge is a great option for medium to long distance point to point internet connections to link your two wireless routers, networks, remote solar or PLC's. Capable of 1Gbps+ Mbps throughput, this package using proprietary RF filtering to help avoid interference and keep your wireless radios up and running in even the noisiest envirnments. 5 Mile Point to Point distance can be acheived with clear, unobstructed line of sight only. Trees, Buildings, Physical Land mass, and other obstructions must be avoided. Please contact us for a free path analysis. This wireless bridge pair covers the entire, license-free, 5 GHz spectrum and includes DFS approval. Anyone around the world can deploy and operate the GNS-5423-HD link in the 5 GHz range practically anywhere they choose (subject to local country regulations). Channel width flexibility (10/20/30/40/50/60/80/100 MHz) allows independent TX and RX channel frequency configurations anywhere within the radio band to avoid local interference, and the channel centers are selectable in 1 MHz increments. You also have the ability to program different uplink and downlink duty cycles to support asymmetric traffic requirements. 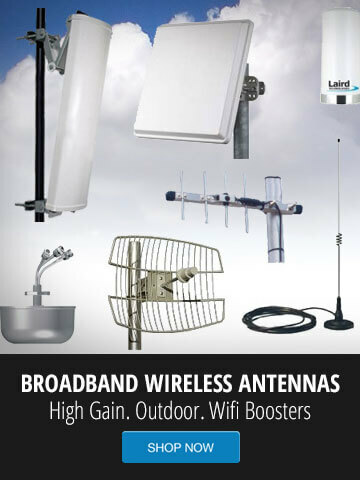 What this means is that in noise free envirnments, where you are not competing with other 5GHz radios, you will have the ability to get maximum speed using 100MHz channel widths. For more interference prone areas, you have the ability to step down the channel width, and minimize interference. 8.82" x 3.23" x 1.89"
The radio's transmit power level can be programmed up to +29 dBm. 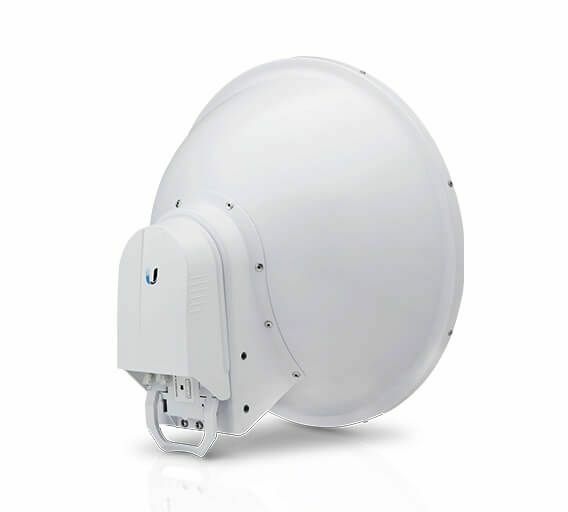 The PTP wireless backhaul allows configuration of asymmetric TX and RX duty cycles. TX ratios include 25%, 33%, 50%, 66.7%, and 75%. 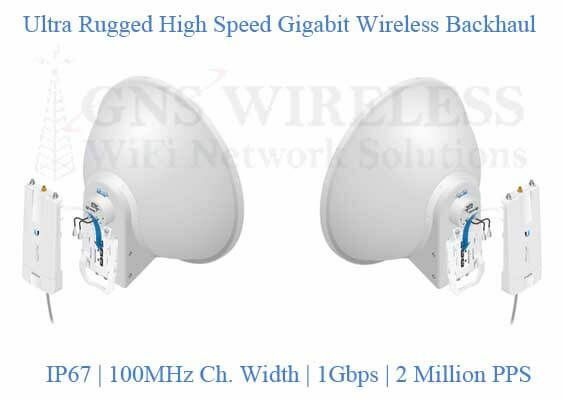 The gigabit wireless bridge offers configurable support for 2, 2.5, 4, and 5 ms frames. Timing is compatible with all other synchronous systems. Adaptive modulation rates of up to 1024QAM are supported. The wireless radios included in this link have two Gigabit Ethernet ports that can be used to provide redundant PoE power. Use the built-in Bluetooth interface for wireless configuration. This alerts the user when the radio or antenna aiming is changed due to tampering, impact, or storm damage. Three user-selectable profiles support both high interference and greenfield deployments for robust, optimal performance. Creation of backup firmware images ensures fail-safe configuration and enhances reliability. Perform real-time spectral analysis for the full band on live links without interrupting the link operation. The AF5XHD has an operating voltage range of 19‑50VDC2 and provides enhanced surge protection.